Yep, that’s the ribbing for the main body of my Agnes sweater – on to the sleeves! You’re so speedy! Do you always start at the bottom? Or the top down? 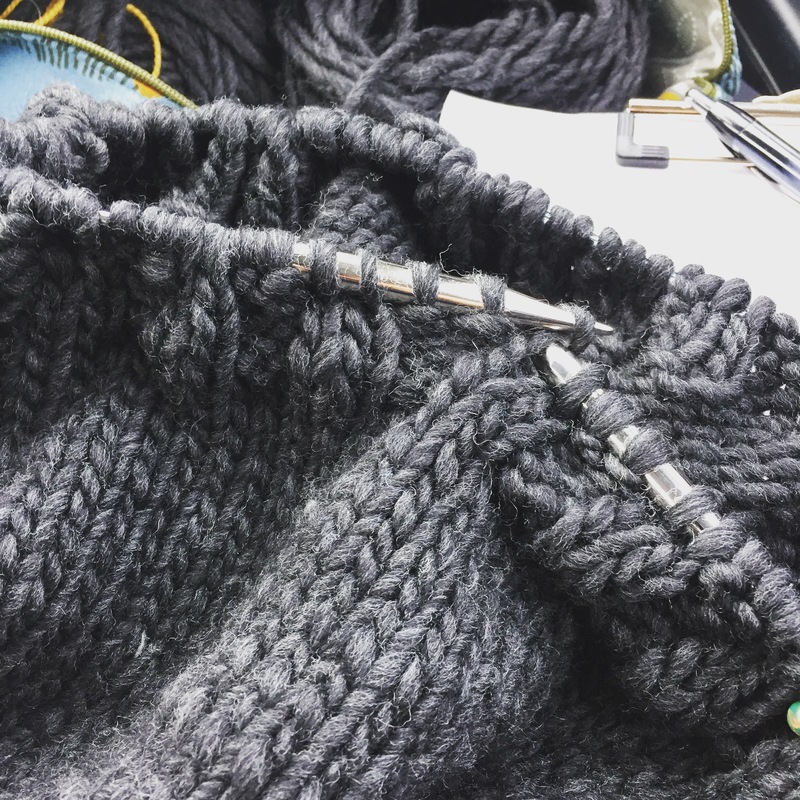 Bulky yarn is no slouch when it comes to helping make projects fly. I like variety, so I tend to pick patterns and then just follow them – bottom-up, top-down, knit in pieces & sewn – I don’t discriminate!